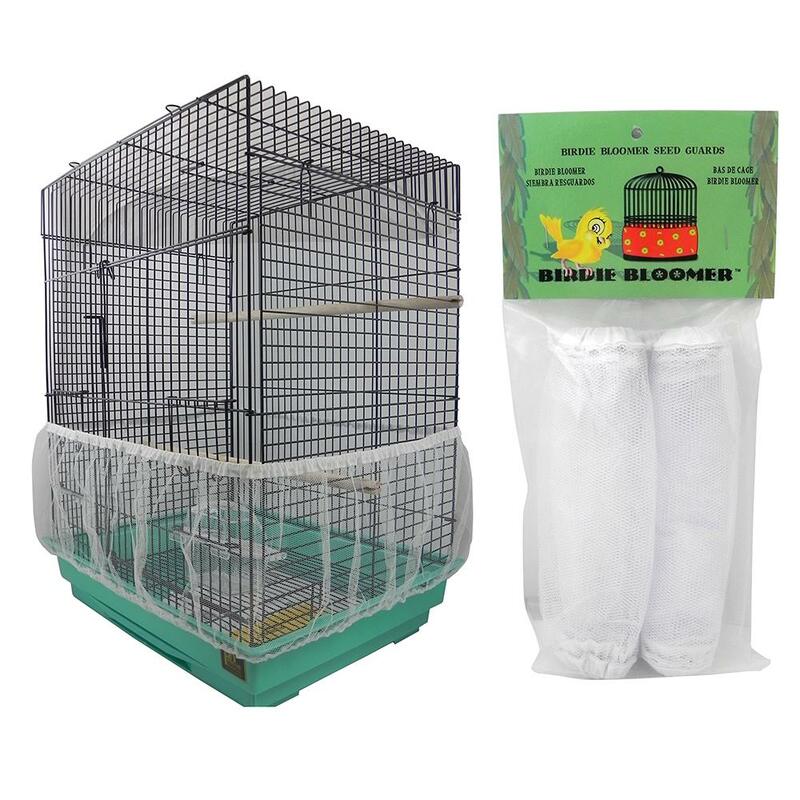 Washable, stops unwanted bird mess, fits cages round or square from 40 to 85 inches in circumference. 7-inches high. Durable nylon MESH material.